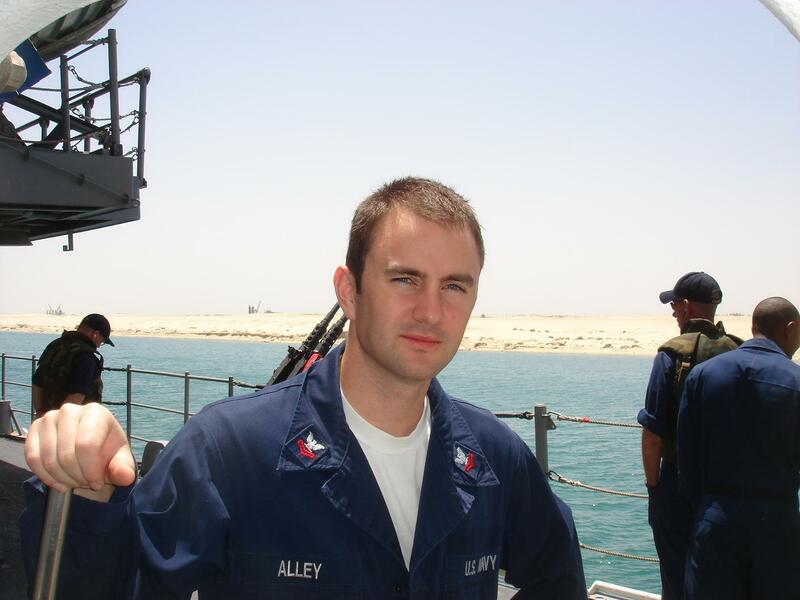 Sean Alley started out in the Navy. He was a search and rescue swimmer and an operations specialist. It was intense. “When you’re stuck in the middle of the ocean and you have been for months and months, there’s no ‘I think today I’m just going to call it quits and go home’,” Alley said. “Taking your mind to that place is really interesting. Things get clearer.” It changed the way he thought and how he faced problems in many ways. We sat down with Alley to talk about his background, where he is now, and how he’s balancing his schedule between life, school and working full-time. 1. Compartmentalize your schedule and your mind. 2. Make deadlines and stick to them. Students with full-time jobs will have much tighter constraints on their time. Get into the habit of creating self-imposed deadlines for study and classwork milestones, as well as creating solid start- and end-times for team meetings. “Self-imposed deadlines are a skill that I feel professionals have to learn. The ones who are good at it really help the businesses they work for,” Alley said. 3. Accelerate towards a minimum viable product, then iterate with your team. 4. Communicate with your full-time school classmates. Different people come to this program with different expectations, constraints on their time and levels of experience. Full-time students with the luxury of spending unlimited time and energy on classwork might not be thinking from the perspective of their busier working classmates. Communicate with your teams! Talk about the benefits of deadlines, compartmentalizing, schedules and getting to 80% quickly. The sooner everyone is on the same page, the more effective the team will be. Alley’s other secret weapon? “My wife,” he laughed. “She’s my biggest advocate and supporter. She also works full-time and still stabilizes our family schedule and most importantly, keeps me sane. This wouldn’t be achievable without her.” There you have it! Compartmentalize your schedule, set deadlines, shoot for 80%, communicate with your classmates and show lots of gratitude to the loved ones helping you through the process!